Lava Flow Cowl #3, blocking. Now I just have to graft the ends. 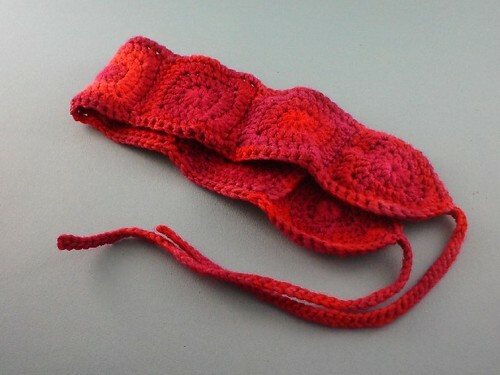 Pattern: Lava Flow Cowl by Dixie Norton, available free at the Dixie Stix blog. Lava Flow Cowl #1 is still in progress. 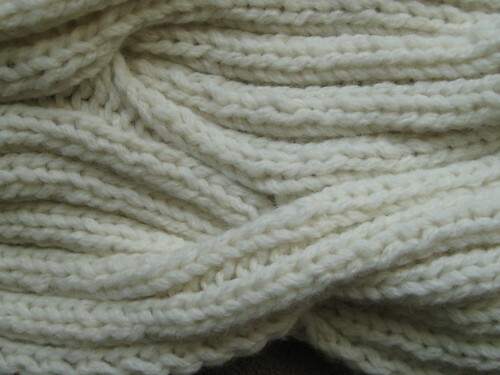 I misread the instructions and cabled more frequently than the pattern called for - letting it marinate while I think about working that into the pattern or just starting over. Lava Flow Cowl #2 - frogged, as posted earlier. Lava Flow Cowl #3 has knit up quickly; what I need to do now is weave in the ends, wash it, block it, and see if it's the right length. 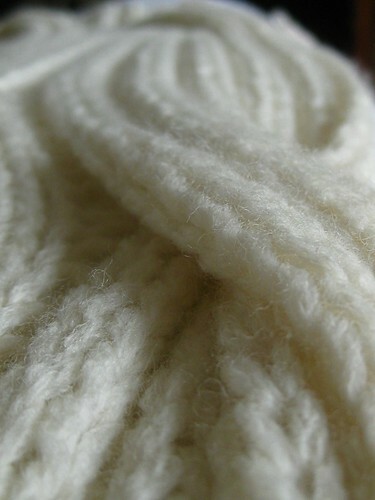 This time I'm using Lana Grossa Alta Moda Cashmere on US #13 needles, and it is knitting up to be rather light and fluffy for something so bulky. Originally published in the Winter '07/Spring '08 issue of Knitscene, the crochet pattern is now available as in a free eBook from CrochetMe (How to Crochet Granny Squares with CrochetMe). The pattern with full article on how to dye the motifs with food coloring is available for sale through the Interweave online store. 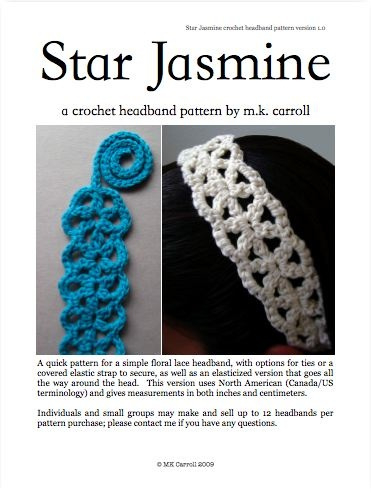 Just updated on Ravelry, the Star Jasmine crochet lace headband pattern is now available in Australia/New Zealand/United Kingdom crochet terminology. 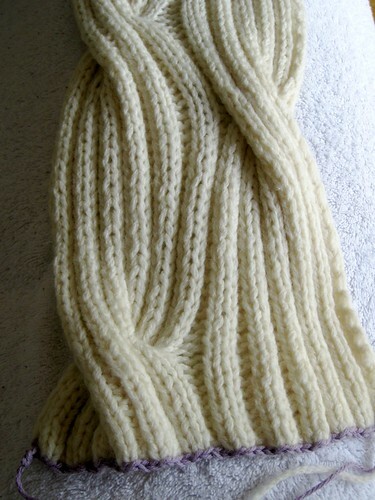 Both the US/Canada version and the AUS/NZ/UK version are included in the Ravelry purchase.